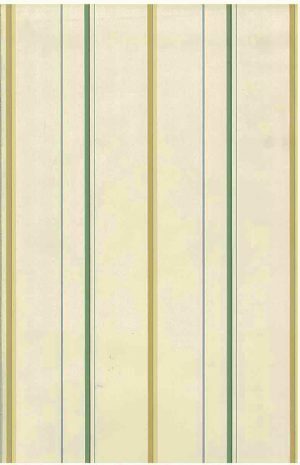 Blue white stripe vintage wallpaper. The light blue and white stripes are one half inch. 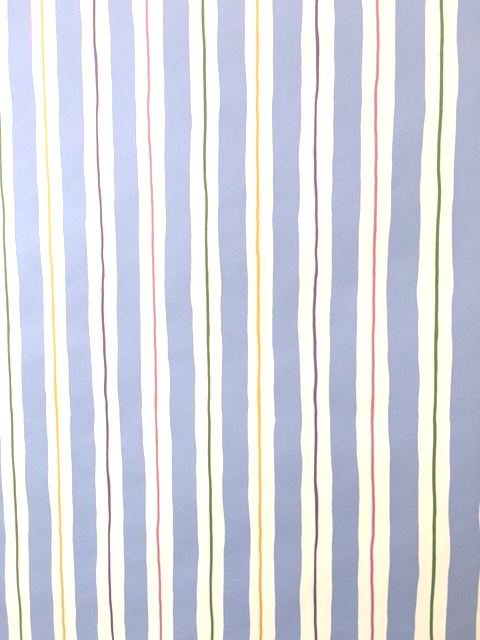 Narrow stripes in green, yellow, purple, pink appear in the middle of the white stripes. 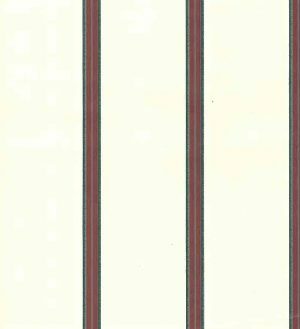 The stripes all have an uneven hand drawn look. Usage: Ideal for a Child’s Bedroom, Playroom, Guest Room or Nursery.